“Life is like a box of chocolate. You never know what you’re gonna get.” The quote from the movie Forrest Gump comes to mind upon entering Harlem Parish art space, to attend the New York City debut of ACCELERATE!’s As Much As I Can show. That’s also the feeling that one might get as the performance begins, and then unfolds throughout the entire majestic space that is Harlem Parish. A century-old facility, Harlem Parish is an “Art & Culture Space” used, nowadays, as a safe space for artists to make and perform their art. Recently, I had the chance to see this beautiful building myself, inside and out. 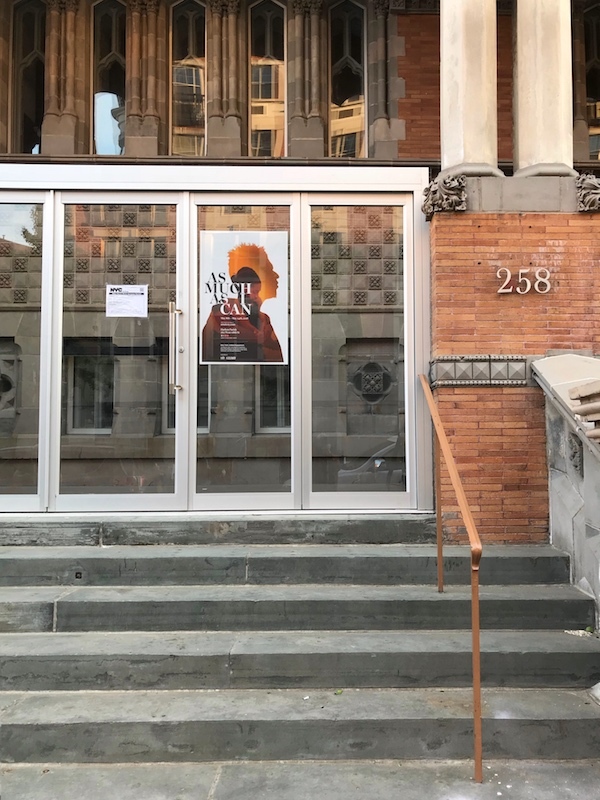 As I stepped inside the Harlem Parish building, together with a group of people, I had no idea what to expect, and I think I was not the only one. Indeed, as the performance started and the story began to unfold, members of the audience began to realize that we were in for an extraordinary, intriguing and truly eye-opening experience. 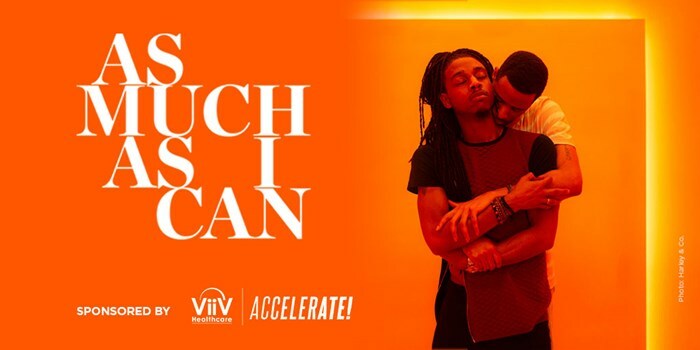 As Much As I Can [A&U, March 2017] debuted in Baltimore, Maryland, and Jackson, Mississippi. The show is one of the innovative, community-driven projects funded by ACCELERATE!, a four-year, $10 million, collaborative health-impact initiative from ViiV Healthcare. As Much As I Can engages audiences across the country in a much-needed, at times uncomfortable but very real conversation about HIV awareness and HIV reality, in particular in African-American communities, offering an interactive way of learning about HIV, through an unconventional, unforgettable, “immersive theater” experience. As Much As I Can’s immersive theater. Photo courtesy ACCELERATE! 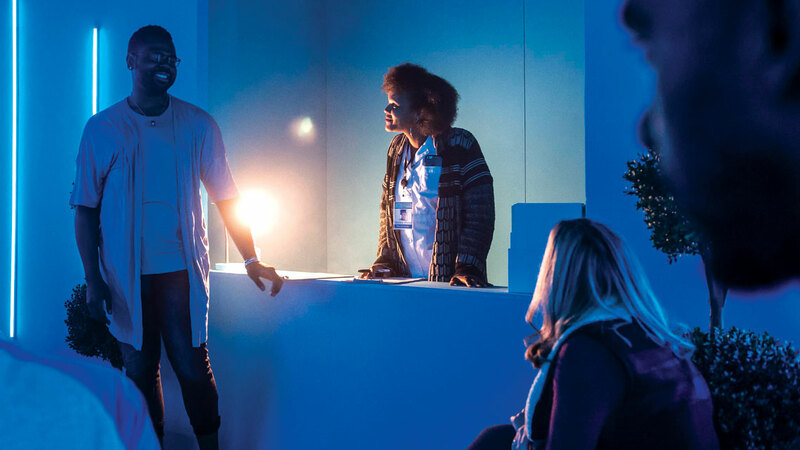 “Immersive theater” experiences are unique in that they break down “the fourth wall” to engage the audience’s active participation in the show. Therefore, members of the audience don’t only get to watch the show, as passive observers, but rather interact with the characters. Throughout the show, they get to walk into each scene (a room capturing a life-like, tri-dimensional representation of the scene), for an up-close-and-personal experience, sometimes becoming part of the scene, themselves. Then they get to do it again, as they move from one scene (room) to the next, while guided by members of the cast. As Much As I Can introduces the audience not only to an unusual kind of theater performance and storytelling through performance arts, but also to an unusual, innovative way of thinking and educating ourselves about HIV and understanding today’s epidemic, as well as its early days and its future. 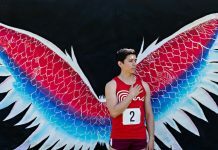 As a result, As Much As I Can doesn’t only cross boundaries in the way it teaches about the history of AIDS, but also in how it provides HIV education and prevention, as well as a possible solution to the HIV epidemic. And as members of the audience, even if we love or hate the experience, even if we’re pleasantly surprised or slightly anxious, at least at first, because we have no idea of our own role in this unusual show, we do get our questions answered as we immerse ourselves in the story and engage with its characters brought to life by the amazing members of the cast. As a result, we can’t help but follow the actors from one scene to the next, eager to find out what comes next. In the process, we end up gaining a much better, overall understanding of life, in general, and of HIV, as part of life, in particular. In the process, we get a better sense of the meaning and role of family, community, friendship and love—in life, in general, and in each of our lives, in particular. In the process, we also get to look at both sides of the HIV aisle—love between two young men, as well as a mother’s love for her son; trust between friends, and also between lovers; the fear of receiving an HIV-positive diagnosis and the fear of the unknown associated with such a diagnosis; religion and religious beliefs associated with HIV, AIDS or being gay, as well as the belief and hope in the future; conversations surrounding the word “sin” and what makes one a “sinner,” in particular in a religious setting; the power of true friendships, in particular long-lasting friendships; the power of believing in oneself, of telling one’s truth and standing up for what it represents. As Much As I Can is the result of a two-year journey through which stories, the characters’ stories, become conversation starters for a much bigger, more honest, tell-it-like-it-is conversation about HIV, especially as it affects young Black gay and bi men. In a way, As Much As I Can is a great example of “show, don’t tell” kind of story, in particular when it comes to HIV. And maybe that’s why the show could be seen as different, unique, maybe even controversial. And that’s why its message lingers long after the actors take their bow. In New York City, the audience had the chance to stay on after the performance and to participate in a Q&A session with members of the cast. Asked about their favorite scene, people in the audience came up with quite a variety of examples as their favorite scenes. Some liked the dance performance that illustrates the intimate connection between two young men, while others were drawn to the powerful mother-son scene capturing the love, worries and hope parents have for their children, as well as their different, sometimes opposite views in love and life choices. Another powerful scene, I thought, was the church scene capturing a conversation between a young man, Delius (Michael Odofin), and the pastor, the clash between their views, beliefs, and pastor’s inability (or perhaps unwillingness) to answer the young man’s plea. Shows like ACCELERATE!’s As Much As I Can prove that, indeed, we are stronger when we come together. And in this case, the audience and the cast do come together to interact, engage, and learn about HIV history, awareness, education, and prevention. Most significantly about As Much As I Can performances is that they make uncomfortable, uneasy, yet vital conversations about HIV, comfortable, easier, and possible. And, thus, it comes to no surprise, not really, that this March, at the World Congress’ Patient Congress, As Much As I Can (AMAIC) received the Excellence in Patient Engagement award. As Much As I Can leaves a lasting imprint on its audiences. It taps into innovative ways of thinking about HIV and it’s a game changer in the way we see and understand the virus. As a result, we, the As Much As I Can audience, try to do as much as we can to spread the word, and do our part. Find out more about ViiV Healthcare and its ACCELERATE! Initiative by visiting online at https://us.viivhealthcare.com/emaccelerate-em-initiative.aspx.